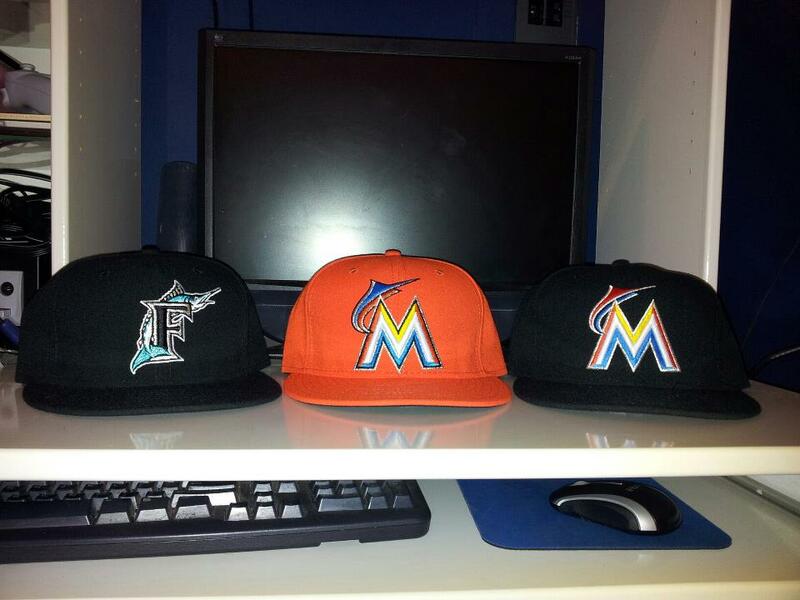 After making a few stops in West New York, New Jersey, Nanuet, New York, and Orlando, Florida, I have finally found all three; the authentic on field caps of the Marlins from the past and present. I never realized how difficult finding the dead stock Florida Marlins cap would be, but none the less I managed to track one down in 7 3/8. Let's hope, for the sake of the franchise, that the roster stays more consistent over the following seasons. No fan likes constantly questioning who's on the field for his favorite team.